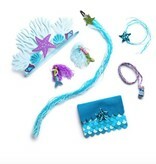 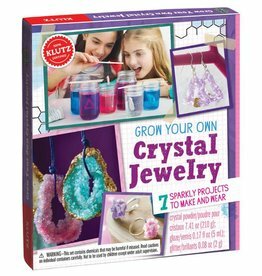 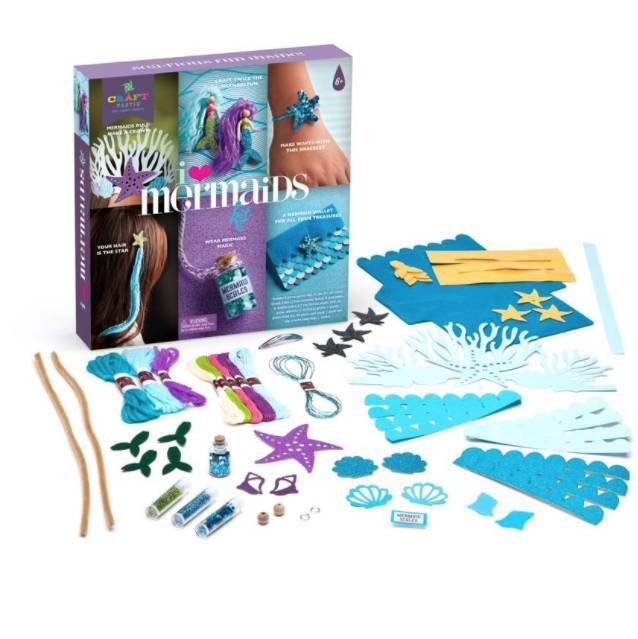 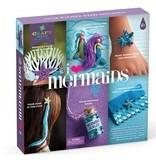 Everything you need to make make 2 sparkly mermaids, a crown, a hair accessory, a bracelet, a mermaid magic necklace, and an under-the-sea wallet. 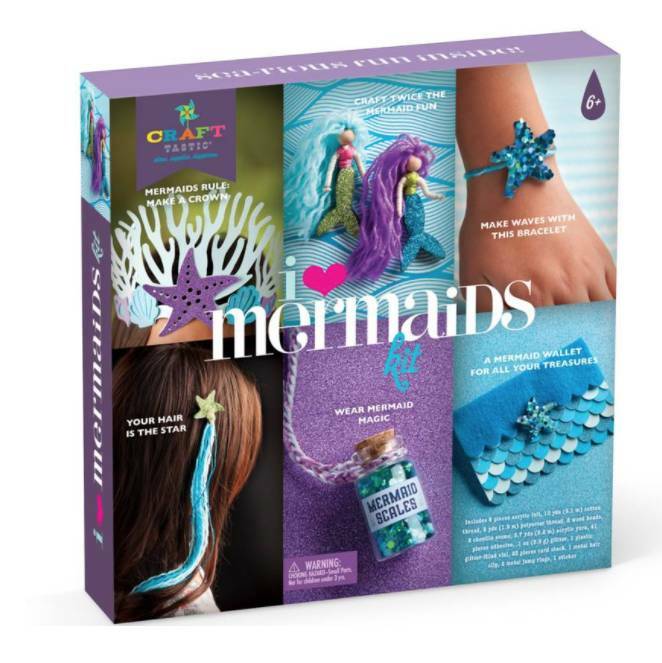 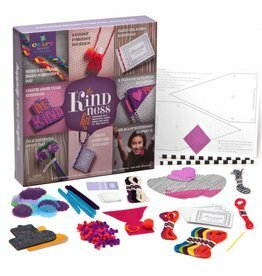 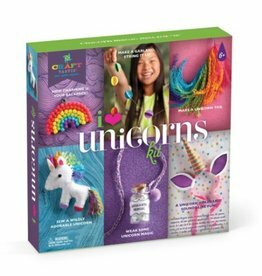 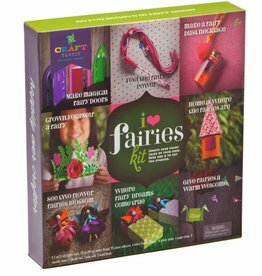 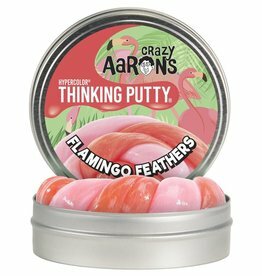 Includes felt, cotton thread, beads, chenille stems, yarn, adhesive, glitter, a vial, card stock, a metal hair clip, 2 jump rings, and a stickers. 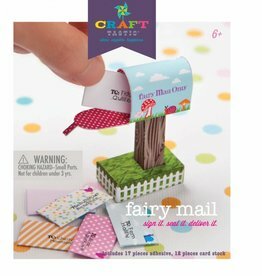 Each craft is a perfect rainy day activity.